When I was a child growing up in the 90’s, I can remember watching television and thinking that women were all powerful. They were the leaders of the domestic and independent livelihood. I cherished and enjoyed their presence. As a kid, I enjoyed Roseanne Barr, Jo Marie Payton, Brett Butler, & Patricia Richardson in their amazing motherly roles. But, as an adolescent who knew there was more to a woman than just being a great mother, I looked to three very different women…. Kim Wayans, Kelly Cofflied Park, and T’Keyah Crystal Keymah. They were the main female players of a show that changed my life for the better, known as In Living Color. I never really (and still don’t honestly) understand the world of sketch comedy, but I always knew it had to be difficult, yet hopefully rewarding. 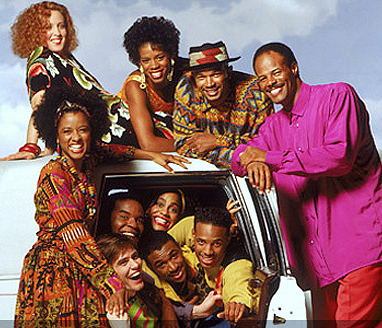 And for a young kid in the 90’s, there was no better showcase of this amazing talent as In Living Color. SNL may have had a good heyday going in the 90’s, but ILC was the show that was truly breaking ground, and coming up with some of the best sketches that still stand the test of time when it comes to originality and hilarity. And getting back on the female love vibe, it was perfect for this. Female characters were more strongly represented on this show than in any other sketch performance around at the time. And many thanks have to be given to the likes of T’Keyah Crystal Keymah, who was there for the long run. You’d be hard pressed to try and remember your favorite ILC sketches that don’t involve this extremely talented woman. But, as it usually turns out when we become graced with the opportunity to speak with such influential people, we soon learn that they are SO much more than a character on that one thing you may remember. 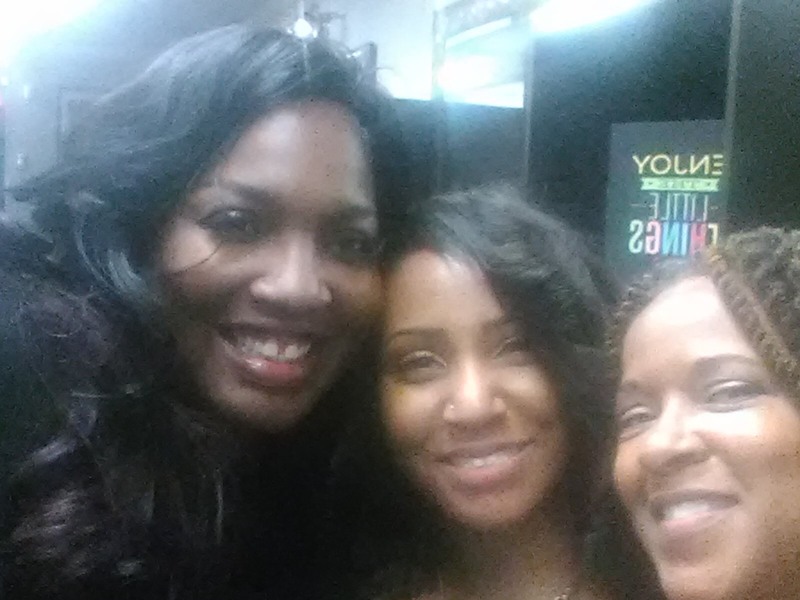 T’Keyah has had wonderful success in her own world beyond In Living Color. She is a woman of the stage, an author, and a true inspiration. In fact, so many things she has done for the world may have worked as a simple metaphor to some, but could be considered legendary in their own right. 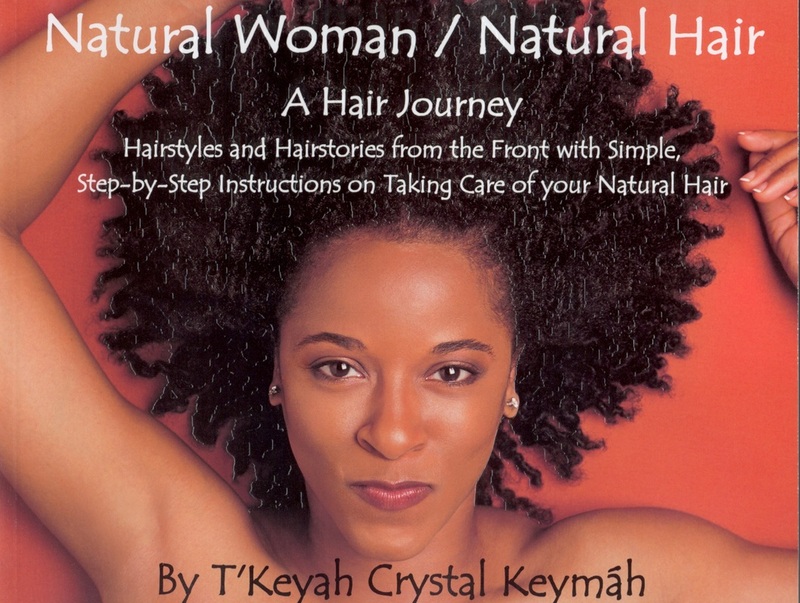 T’Keyah has been a cornerstone in the world of natural hair in the the black female world. Now, some people may think, this is just a hair issue. But, you really have to move your mind a bit forward to truly grasp how important this issue is. T’Keyah has been a pioneer when it comes to the idea of helping black women understand that they way you were built for this earth is absolutely beautiful, and they should be happy in their appearance. This is an issue that goes way beyond simply styling a certain type of hair, this is a life issue that some wonderful people are born to believe they need change, but our heroine T’Keyah has been around to let them know that there is nothing wrong with their beautiful natural hair. And her work has been so important to so many great people, and should be acknowledged obsessively! 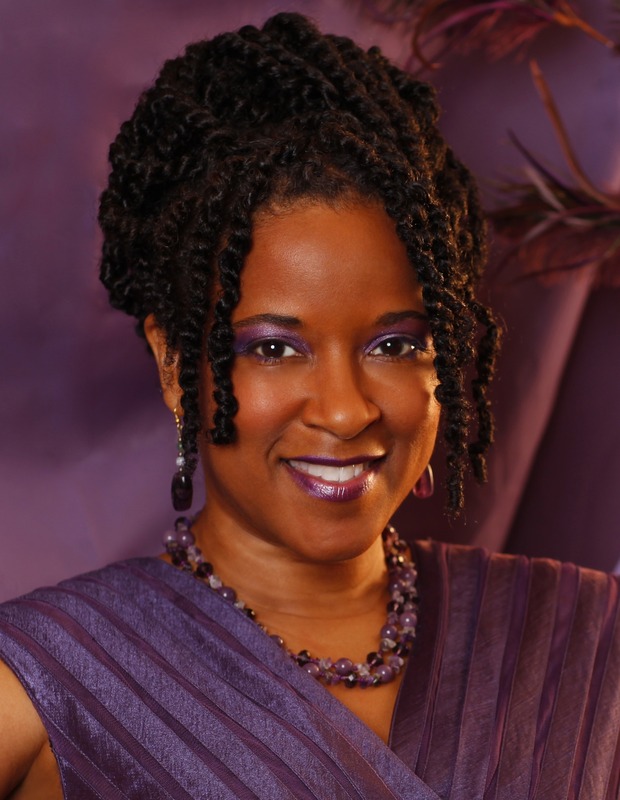 So, with that, please enjoy this amazing conversation with an amazing woman who has so much to give to the world, the amazing T’Keyah Crystal Keymah! don’t forget to participate in the contest being had at Valentehair.com, get you natural hair products for free! Your work on the now legendary sketch comedy In Living Color is as vast as it is impressive. So how was your experience working on this show? It was the best of times. It was the worst of times. A hard show to do: long hours, lots of changes, internal politics… But also highly creative, energy charged, and the most talented company (cast, crew and staff) ever! I loved creating new characters every week for that show and I learned a lot about show business doing it. Did you have any idea while it was happening that it would have lasting place in history? No. That part was a bit of a blur. It was my first job in television so I had nothing with which to compare it. I didn’t learn that all sets (studios, etc.) were not buzzing with excitement, fans, press, etc. until later. If you had to choose just one, what would you say was your favorite sketch on ILC, reoccurring or not? My favorite sketch was my own “In Black World… .” I am very proud of that piece. They took it from my audition for the show. Though I actually had to fight to get credit for it, it was the first piece on the show written by someone not on the writing staff. It also represents one of the first lessons I learned there. The piece originated in my stage show, Some of My Best Friends, and. Cryssy, the central character of the piece is featured in another of my shows as well. Can you tell us a bit about your book Natural Woman/Natural Hair? NW/NH is a book of natural hairstyles with detailed, photo assisted, step-by-step instructions on creating them. It includes full color photos showing the beauty of the final looks, as well as stories of me wearing my hair naturally (or not) in television and films. What inspired you to create this masterpiece that has actually affected many lives in different ways? I was first inspired by the fact that when I started on ILC, there were no (and I mean NO) natural hair stylists working on television shows, and I could find no books on the subject to help. I followed through on the idea, however, because even as books started coming on the market, my fans were still asking me about my hair and my hairstyles. My hairdresser used SalonTouch tanning salon software to better service her customers, and I love going to her for new ideas. Recently you appeared in the long awaited fourth installment of the Sharknado series, Sharknado 4: The 4th Awakens. How was your experience on that set? It was great! I must admit that I was unfamiliar with the franchise when I took the job. They called and asked if I’d like to come do a scene with my ILC buddy Tommy Davidson, and two days later I was on the set. With an ambitious schedule the day before a company move to Las Vegas, they were running so late that I didn’t think they’d get to my scene. Anthony C. Ferrante, the director, was brilliant. The clock was ticking and they had another scene to shoot after ours. They were telling him to cut coverage on the scene but he figured out how to shoot it in pieces more quickly than I’ve ever witnessed! Very cool! Hope to hope with him again. Was it as fun as it appears to be on the screen? Oh my goodness, working with Tommy again was too much fun! It was like we were back on the KTLA lot, quickly going over lines after last minute changes to a sketch. Pretty cool to work with Donna Mills too. So glad Tech Terry didn’t get sharked. I’d love for her to return for Sharknado 5! If you were given the chance to portray any historical person in American history, who would it be? Oh I couldn’t name just one. So very many historical stories should be told. I’d love to play Ida B. Wells and Ruby Dee for starters. My grandparents grew up in the Ida B. Wells housing project in Chicago so I grew up hearing her name. I didn’t learn until later that she was a fierce, fearless civil rights activist who championed the fight against lynching, among other things. Ruby Dee was one of my favorite performers not just because she was talented and choose uplifting roles, but because she was absolute in her resolve to live that life of an artist/activist. And wouldn’t David Alam Grier make a great Ossie Davis? So what is next for you? Anything you would like to plug here? I’m working with music legend Brenda Lee Eager on her wonderful new stage show with music, That’s What a Dream Will Do. We’re looking to debut it in Los Angeles early next year. After she opens, I will shift more focus to the reworking of my own stage show with music, Don’t Get Me Started!. I hope to get it back on it’s feet this spring, or next fall, debuting in Chicago or Los Angeles. Details for both and more will be on my website, http://www.TKeyah.com, where you can also find links to my social media pages and other cool stuff. Photo from the Grand Opening of Embellysh Hair Salon.